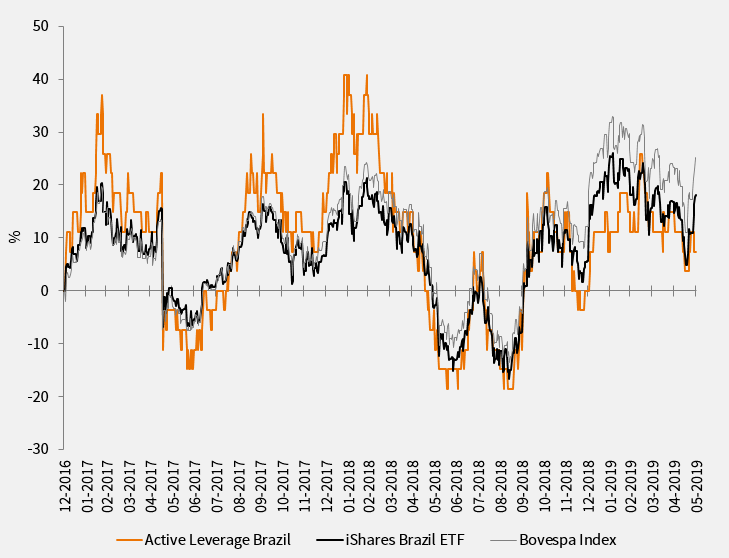 Intereffekt Active Leverage Brazil is an active mutual fund that uses a dynamic trading model based on a combination of technical stock market indicators. With this trading model the fund actively responds to market developments, whereby the leverage in the fund can vary between 0 and 2. If the trading model generates a positive signal, the leverage will be set at a factor of 2. If the trading model generates a negative signal there will be no leverage relative to the underlying values. The exposure will then be reduced to 0.5, or in extreme cases to a minimum of 0. 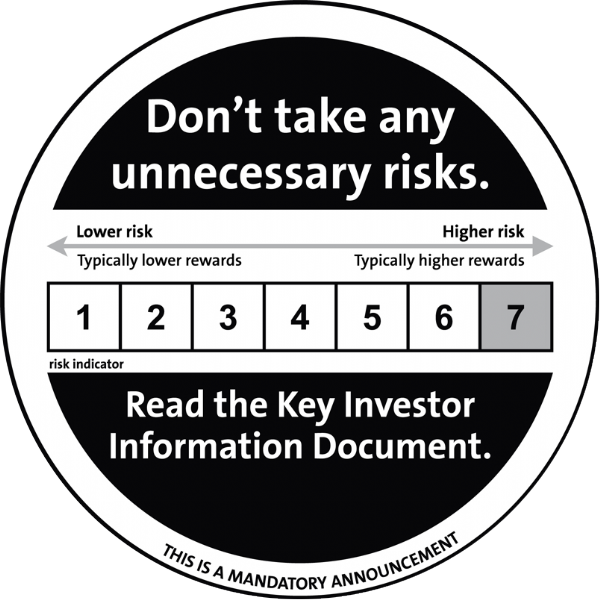 In the latter case, the fund temporarily will have no exposure on the market at all.